I was back visiting my family recently and I had another look in my Mother’s jewellery box to see which other pieces I remember looking at when I was little. 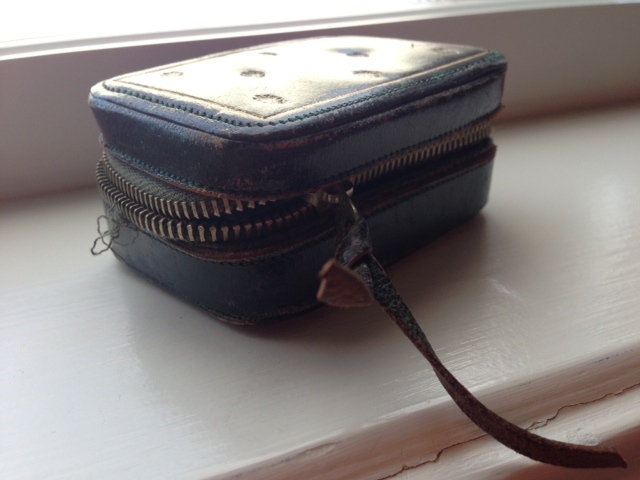 I opened up one of the small drawers in her jewellery cabinet and found this beaten up little black leather case that I was instantly smitten with. 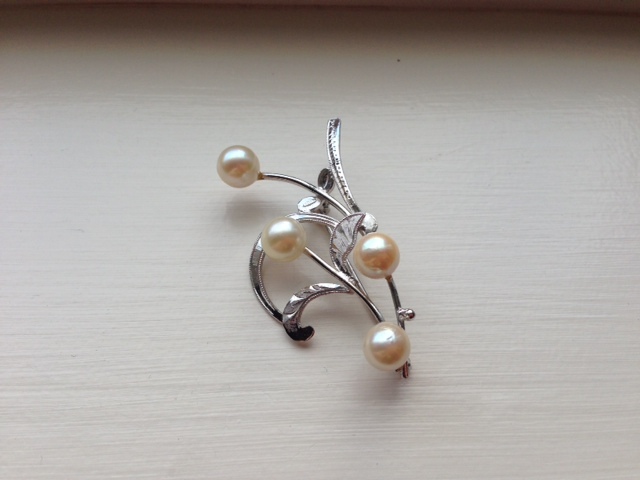 I opened up the broken leather case and in it was a sterling silver and pearl brooch that I remember adoring when I was little. It’s sterling silver with lovely hand engraved tiny details on it. The stamp on the back says SILVER, which I thought was interesting since in my jewellery career I’ve only ever seen stamps with either STERLING or 925. 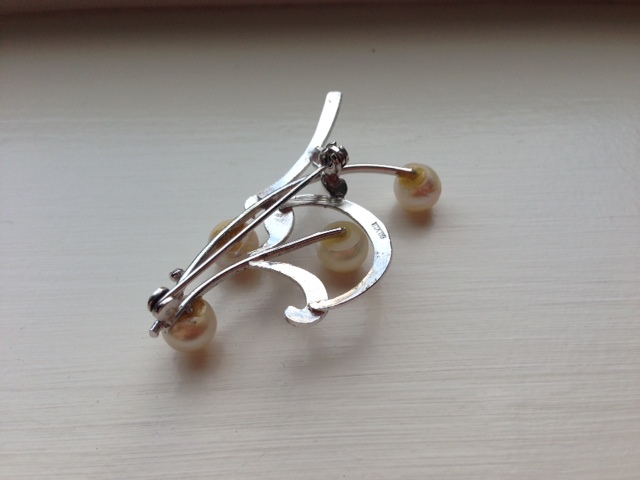 I have a similar silver & pearl brooch also marked only “Silver”. It was sent to my mother in the early 1960s by an aunt who was stationed in Taiwan with her Army husband. Now, I assume it was bought in Taiwan, but also, I suppose she could have traveled to Japan during that time. She also sent all the nieces sterling rings with a single pearl setting. I lost the pearl out of mine when I was a senior in high school in 1963.